Speaking on the entry of women in the Sabarimala temple, Paswan said his party is against any gender discrimination. He said the BJP may have protested against the implementation of the Supreme Court order but the centre has not interfered in the matter. 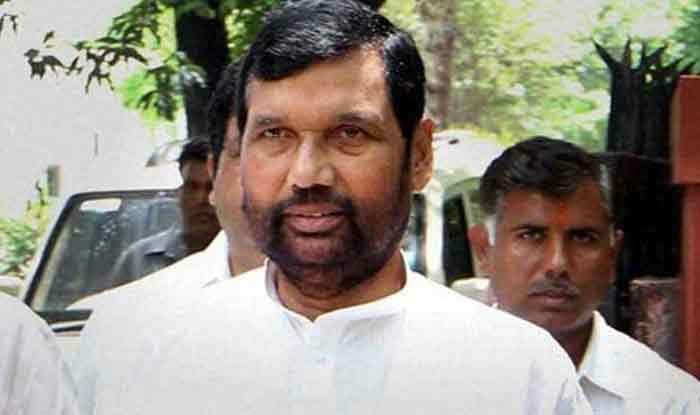 New Delhi: Following in the footsteps of Bihar Chief Minister, Union Minister Ram Vilas Paswan on Thursday became the second Bharatiya Janata Party (BJP) ally to oppose an ordinance to construct Ram temple in Ayodhya, saying the Supreme Court’s decision on the matter should be final. The Lok Janshakti Party (LJP) chief also had a different viewpoint with the BJP’s stand on the entry of menstruating women in Kerala’s Sabarimala temple and supported the SC judgement. “Whatever judgement the Supreme Court gives on the Ram temple issue should be accepted by everyone, be it Hindu, Muslim or any other community. When the PM said that we will wait for the Supreme Court judgement, then all ifs and buts should end,” Paswan said. “The Supreme Court has given its judgement and now two women have even entered the temple. Is the government stopping them from entering the temple? There should be no discrimination in the name of gender. Women are going to space, then why can’t they enter a temple,” Paswan said. Paswan added that his Lok Janshakti Party’s stand has been consistent on the issue and that he would not support the ordinance. Last month, Bihar Chief Minister Nitish Kumar had said the Ram temple issue should be resolved either through a court judgement or mutual agreement among different groups. “We are committed to the development in Bihar… We are of the opinion that the Ram Mandir matter should be solved through a court decision,” Kumar has said.